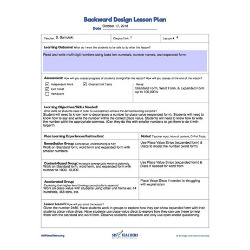 This fillable PDF guides you through the process of backwards design and helps keep you organized as you build your collection of backwards designed lessons. Note: File must be opened in Adobe Acrobat Reader or Preview (Mac) to allow editing. 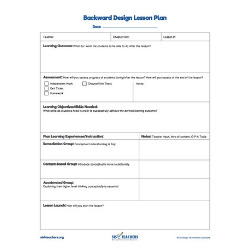 Read more about backwards design in our blog post End in Mind: Backwards Design for Math Lessons!